JLL is strengthening its West Coast retail client service offerings yet again. January 2018, the firm added investment sales experts Tom Lagos and Patrick Toomey as Executive Vice Presidents and Jordan Uttal and Heather Boren as Vice Presidents. Together the quartet will provide retail investment sales and disposition capabilities, and complete the firm’s already robust leasing, management and tenant representation platform. They will partner closely with Executive Vice President Geoff Tranchina on investment sales and Scott Burns on brokerage. “Two years ago we made a commitment to our clients to serve all their retail needs on the West Coast. We acquired Shelter Bay to bolster our property management and Wilson Retail Group to broaden our tenant representation and agency leasing capabilities. 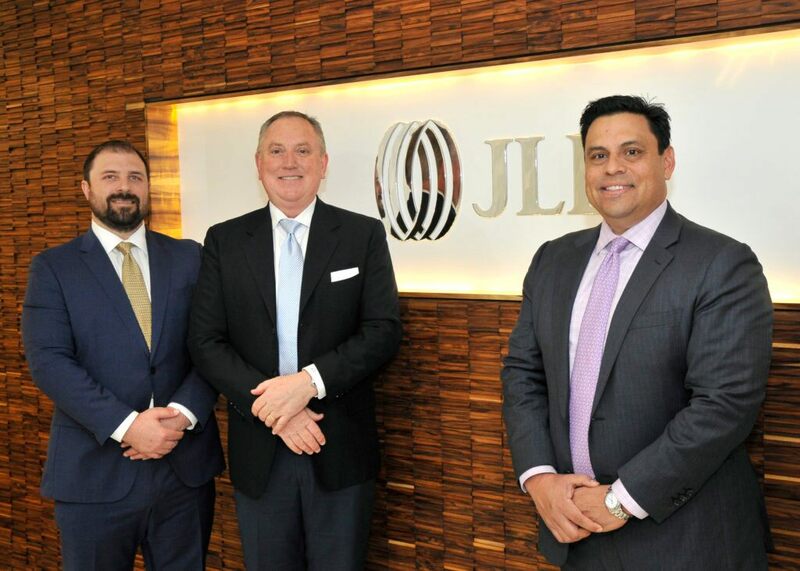 Now, with the addition of Tom, Patrick, Heather and Jordan we have the last piece of the puzzle – investment sales abilities,” said Naveen Jaggi, President of Retail Brokerage and Capital Markets, JLL. Lagos and Toomey are the latest addition to the firm’s ever expanding West Coast retail practice, following the addition of Adam Fisher, Kristin Grove, Bob Dishler, Johnathan LaChance and Howard Wong in 2017, and the prior Shelter Bay and Wilson Group acquisitions. Lagos brings more than 23 years of experience specializing in the disposition of retail properties across the United States. Throughout his career he has completed transactions valued at more than $3 billion. Toomey has excelled in the retail real estate industry for more than 35 years, most recently serving as a leading investment sales executive where he has led more than 400 transactions valued at more than $3 billion. With more than 10 years of experience, Boren has been responsible for the acquisition and disposition of nearly $1 billion in retail real estate, serving as both an investor and broker. Uttal has been specializing in the advisory, consulting and transactional services of investment retail properties since 2005, with $500 million in transaction volume.